Service PALS help children with disabilities, including Autism and Downs syndrome, mobility and psychiatric impairments. These dogs assist with the daily needs in the home and the in community thus increasing a child’s or young adult’s independence and confidence. Facility PALS assist professionals working with children with special needs. 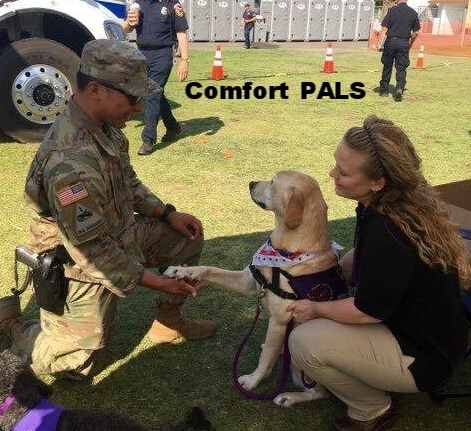 Courthouse PALS provide emotional support and comfort to victims and witnesses of violent crimes before, during and at the conclusion of a trial. Social PALS, Therapy PALS, Reading PALS, and Comfort PALS Teams are certified to volunteer and serve the special needs of the community.